Summary : The Eno Vulcan Underquilt is a great choice for anyone who wants to extend their hammock season. It's light, tough, and water repellent so you can use it anywhere, anytime. 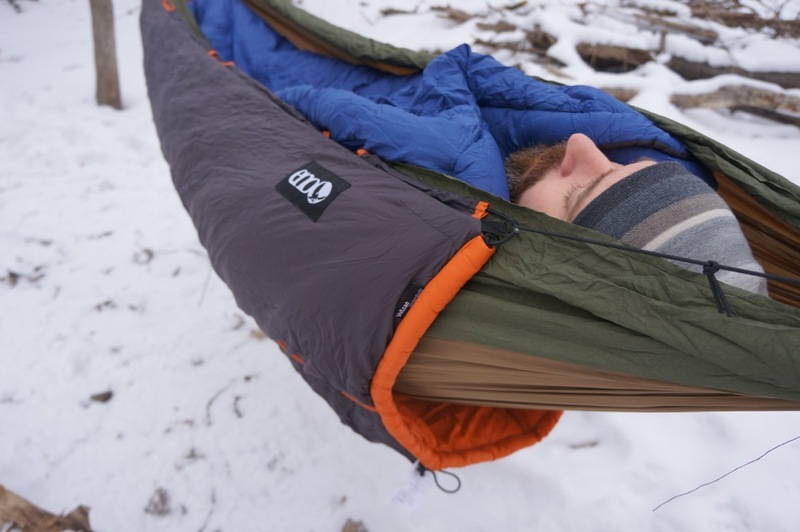 Functionality – The Eno Vulcan is warm. A fun way to test this is to have someone get in the hammock, get cozy for awhile, and then pull the underquilt down so they can see the difference. We quickly found that people don’t like this test, and they tend to yell at you. The difference is remarkable. 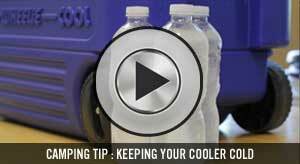 Without it you instantly get a chilling rush of cold air underneath. It really does an amazing job of keeping you warm. I’d also like to add that I’ve used the Eno Vulcan Underquilt with my Hennessy Hammock and found it to work well. I needed to attach a few extra s-clips in places to get a snug fit, but it was relatively easy to do, and made for a warm hammock. 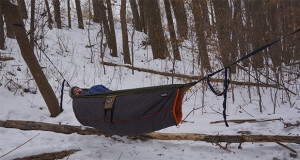 Ease of Use: Hammocks are quick and easy to set up as it is, and the underquilt is right in line. All you do is clip it to the carabiners on each end and tighten up the adjustable shockcords. Done. 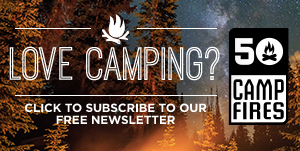 Durability: The underquilt has a nylon shelled that is treated with DWR (durable water repellent). We would expect the solid construction to last a long time. 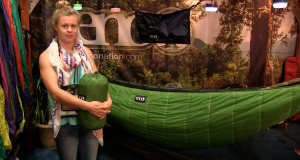 Value: The price tag of $175 is right in line with other underquilts that are rated to similar temperatures. Weight: The Primaloft Insulation weighs a little more than goose down, but not enough for us to penalize it based on weight. 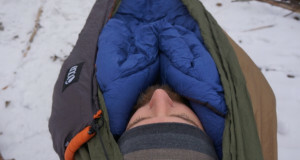 Make sure to check out our review of the Eno Vesta Topquilt to complete your winter hammock setup! 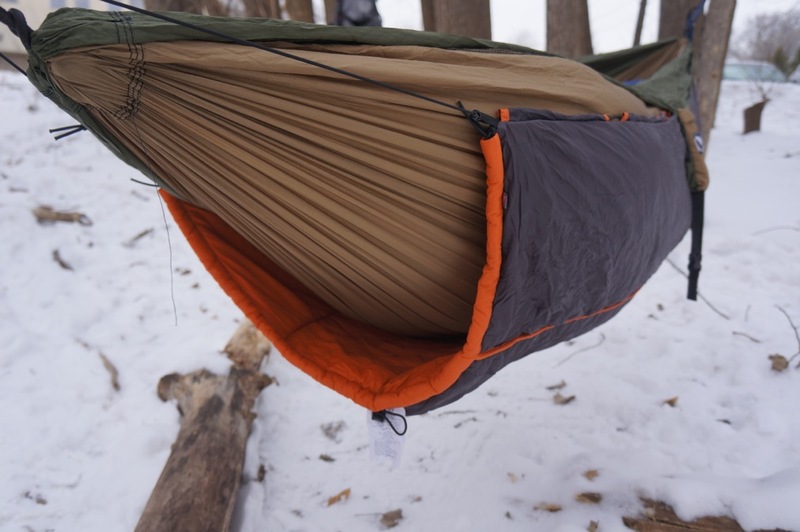 Is Winter Hammock Camping For You?